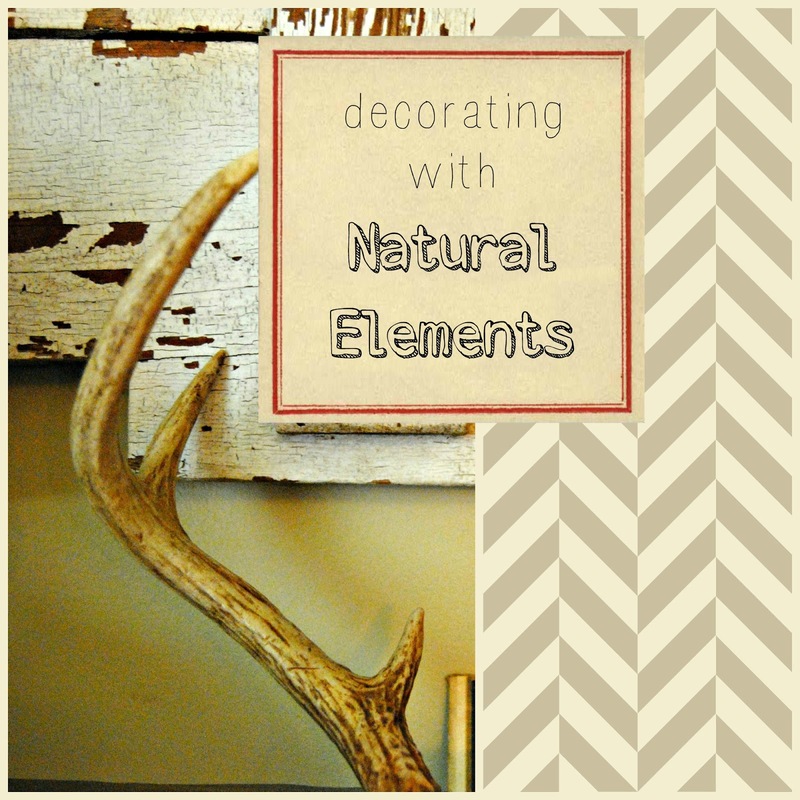 If your trying to give your home a little rustic/organic feel, try decorating with mother nature’s free accessories. 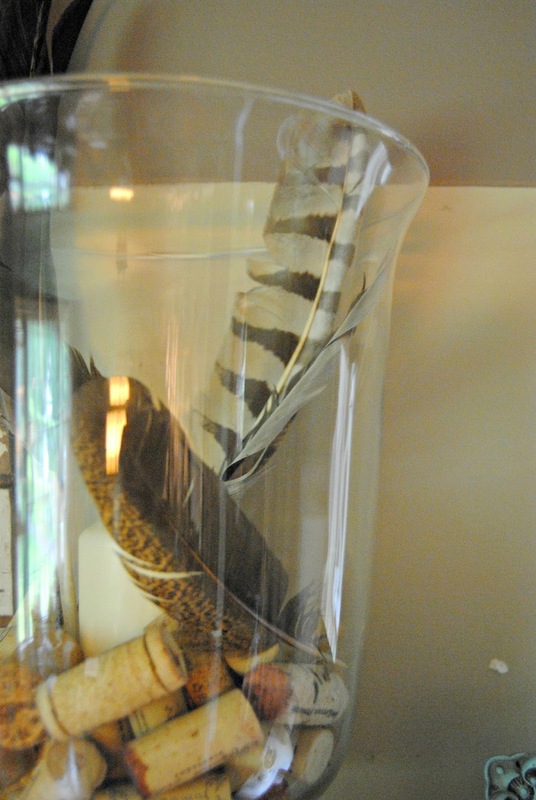 We’re lucky enough to have access to feathers in our own back yard, thanks to our flock of chickens. Next time you go to a farm, ask the farmer if you could collect some from his chickens. They are easily found all over the ground. 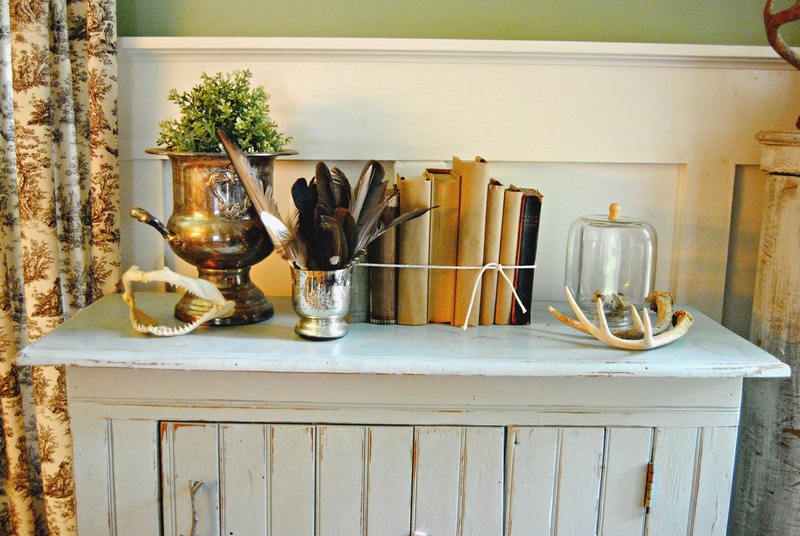 Antlers are hot in home decor right now. Take a stroll through the wood and see what you can find. You could also check out flea market, or estate sales. 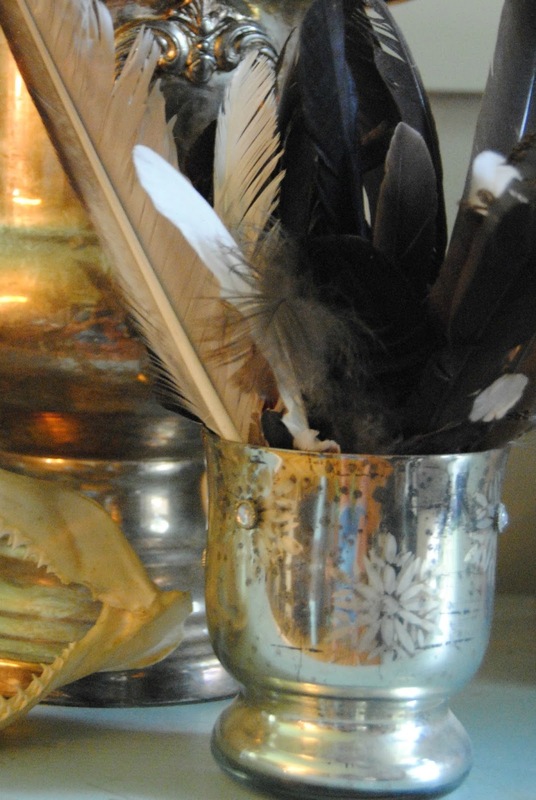 Use bowls or vases with a little shine to gather and contrast with the natural elements. There you go. 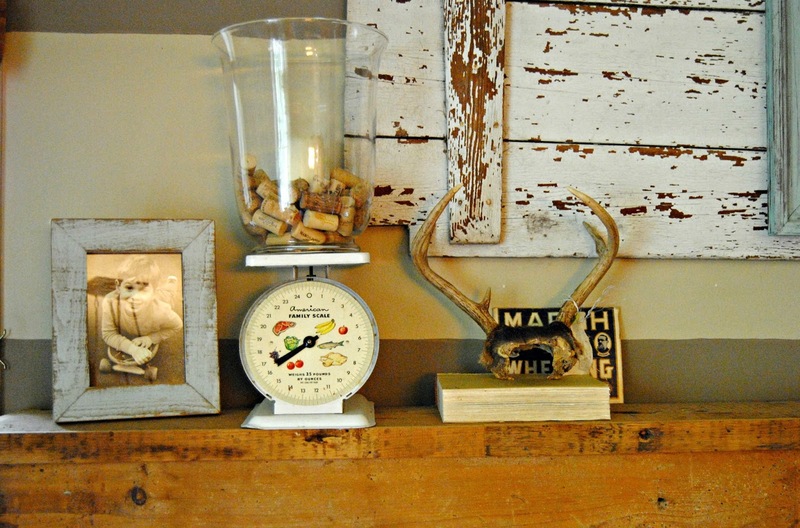 Add a the woodsy feel of nature to your home! *no animals were harmed for the sake of decorating. Oh my goodness, do I need this post! YOu have such a sense of style and layering! Beautifully done!!! I'm going to work from your post to see if I can make something similar! Thanks so much!!! What a great look! I like the drapes/curtains, too. They create a great backdrop for natures' cache. thanks Rebecca. 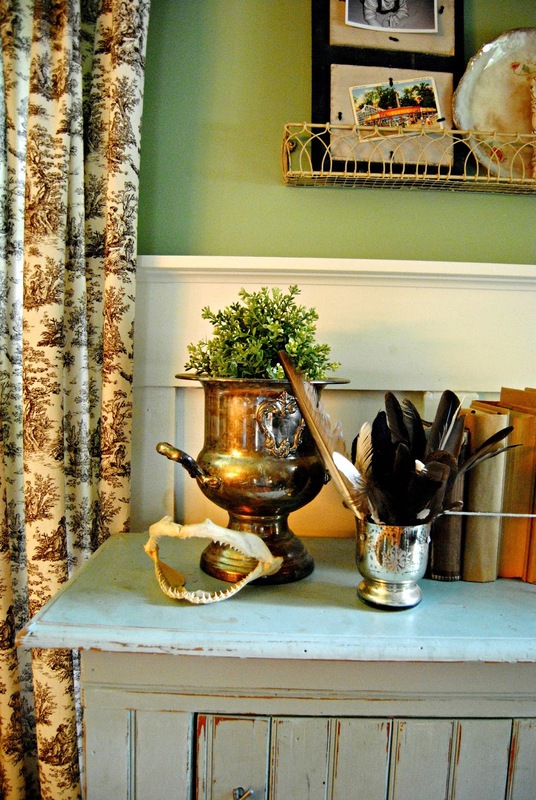 The drapes are one of my favorite too! 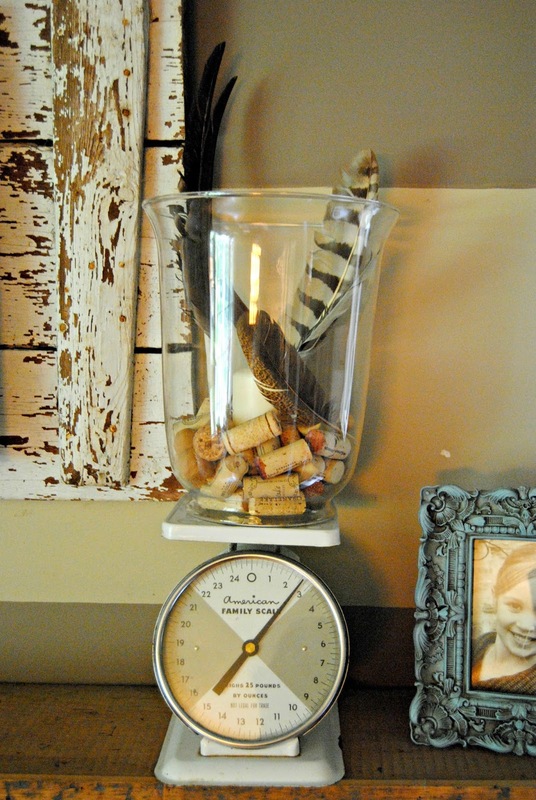 Wonderful vignettes. Yes, I love the drapes as well. 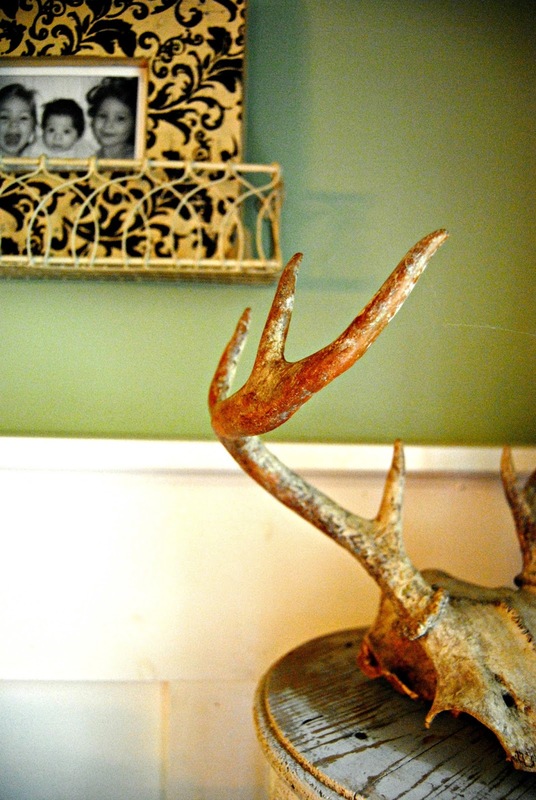 I've loved antlers forever and have both real and "faux" hanging in my house. I love bringing a little nature inside and I love the jaws on the table. I need to go find some jaws now! 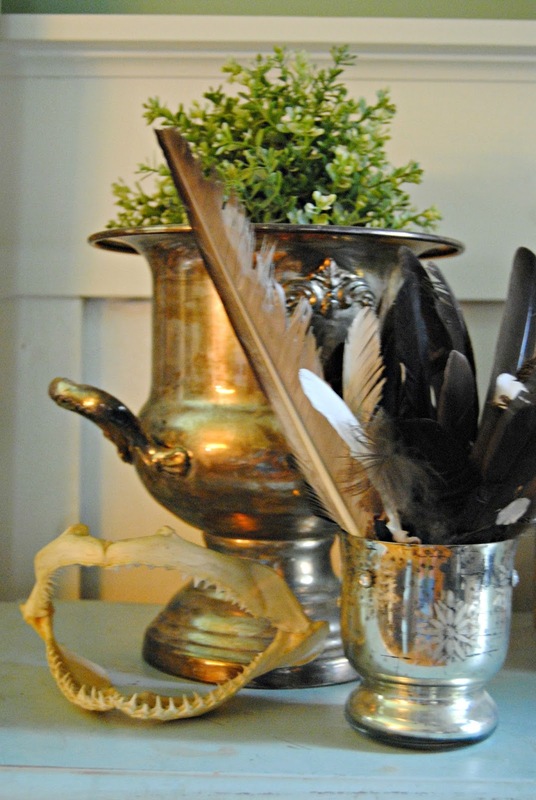 Bringing a bit of the nature inside is a great way to liven up a space. This is wonderful and nature-inspired home.